The F10 is a multi-purpose brush from our Dimensions Series. Handmade from extra soft, high quality anti-bacterial,easy to clean synthetic fibres, this brush is also vegan friendly. This brush is an angled version of our top selling F20 brush. It is made from high quality fibres, a sleek rose gold ferrule and black handle. 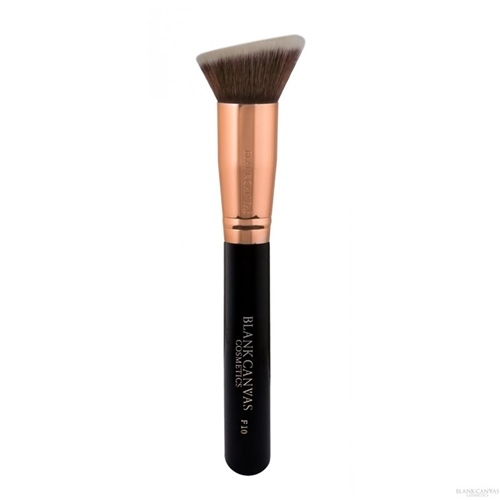 The F10's multi-purpose design makes it the perfect tool for foundation, cheek blush and contour application. This brush can be used with liquid and cream products.